Please type your desired tags, e.g. Biochemistry and Chemical Biology, Microbiology, Molecular Biology, Cancer Metabolism, Tumor Microenvironment, Social Data Analytics and Research, Hyperpolarized MRI, Emerging Media Art, Research Methods, Hybrid Course Design, Information Systems, Gerontology, Poverty, Intimacy, History of Medicine, and etc. 1995–1995	The Management Accounting Research Conference, Vancouver, Canada. 2002–2702	at the Measuring Capital in the New Economy, NBER Conference, Washington D. C..
1994–1994	American Accounting Association Annual Meeting, New York, NY. 1996–1996	The Management Accounting Research Conference, San Antonio, TX. 2001–2001	at the 2001 Strategy Conference, Harvard Business School, Boston, MA. Member of the 2001 Management Accounting Dissertation Award Committee of the American Accounting Association. Editorial Board: The Accounting Review (2004-present), Journal of Management Accounting Research (2006-present); The International Journal of Accounting (2005-present). Ad hoc reviewer for The Accounting Review, Journal of Accounting and Economics, Information Systems Research, Marketing Science, The Journal of Accounting, Auditing and Finance, Operations Research, Management Science, European Journal of Operations Research, Quality Management Journal and International Journal of Quality Science. Discussant for research papers at the American Accounting Association Annual Meetings, and the Management Accounting Research Conference. 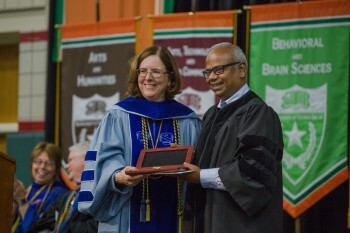 A faculty member in the Naveen Jindal School of Management was recognized during the spring 2018 Doctoral Hooding Ceremony at The University of Texas at Dallas for sustained excellence in graduate research mentoring. 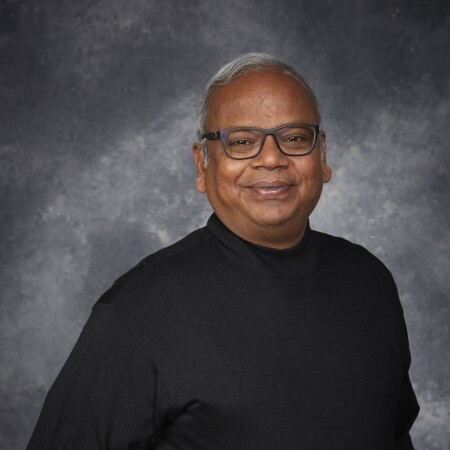 Dr. Suresh Radhakrishnan, Constantine Konstans Distinguished Professor of accounting and information management, was recognized May 8 as the recipient of the 2018 Provost’s Award for Faculty Excellence in Graduate Research Mentoring.